The LataLiana Villas Estate rests on half a hectare of fully landscaped gardens just 250 meters from Seminyak’s best beaches, and includes 3 properties; the 5 bedroom Villa LataLiana One, the 2 bedroom Villa LataLiana Two, and the 1 bedroom suite The Floating Annexe, a single bedroom separate suite with living area. The LataLiana Villas allows for accommodations ranging from 1 to 8 bedrooms, allowing for a group of up to 16 adults and 8 children to stay together on one grand estate. The Villas One and Two feature free-form swimming pools, indoor and outdoor lounging and dining, and grand indoor living spaces. The entire estate includes a 26 person full-time staff including a site manager, personal chefs, spa therapists, and chauffeurs. The luxury LataLiana Villas are situated in a secluded fashion in lush tropical gardens surrounded by native Liana trees. The property is dotted with ponds and fountains, which are home to silently swimming schools of beautiful Koi fish. Dining within the LataLiana Villas Estate property is an experience in luxury. A full a la carte breakfast is prepared daily by personal gourmet chefs, which includes a complementing selectionof wines, premium spirits, cocktails, mocktails, soft drinks, and fresh juices. For lunch and dinner, the LataLiana Villas on-call trained chefs are ready to prepare gourmet meals to order. The extensive a la carte menu provided includes Indonesian, Asian, and western cuisines with special requests happily catered to with a 20% markup for personal grocery service. Dining in can be experienced in either the indoor or outdoor kitchen and dining spaces. FacilitiesThe facilities of the LataLiana Villas Estate are equipped to entertain and relax children and adults alike, making it a highly family friendly destination. For kids, the estate boasts a multitudeof televisions, child sized bicycles, over a thousand DVD options, DVD players, and Sony PlayStation gaming consoles. Full kitchens allow families to prepare meals for little fussy eaters who may only want one particular comfort dish. Pool safety fences, high chairs, booster seats, and other children’s accommodations can be provided by request. For the whole family, freeform swimming pools meander across the Japanese grass of the entire estate property, adult sized bicycles are provided for full family bike rides, and babysitting services may be provided to allow parents some alone-time exploring the area. A private staff of 22 serves the LataLiana Villa Estate, dedicated to serving guests with friendly, personalized, and discrete hospitality. Personal butlers are available to cater to a guests every whim, a trained gourmet chef is on-call to prepare meals, an on-call chauffeur takes you to islandhotspots, and a full-time villa manager ensures a seamless experience across all points of staff. The entire estate is fully guarded by the villa security staff to ensure the utmost security and privacy. On-call babysitters and spa therapy experts are available at an additional cost to provide any services guests may require. 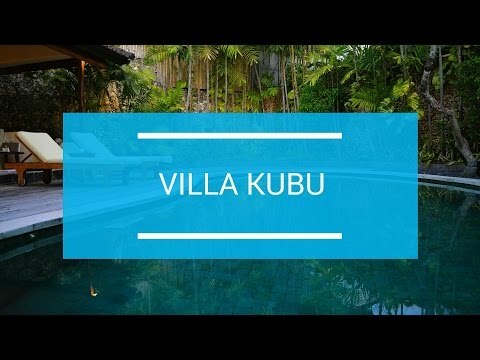 What’s Included In The Villa Rate? While grocery services, spa treatments, and babysitting do come at an additional cost, plenty is included in the villa rate. Complimentary breakfasts are prepared by the guest personal chef eachmorning along with an accompanying drink menu. Children’s items may be provided for no additional charge at the villa for use during the duration of the stay, included concierge service ensures a stress-free vacation, and chauffer services provide an easy way to experience all of Bali. The area surrounding the LataLiana Villas Estate is ripe with nightlife, dining, wellness, and cultural hotspots. Local beach clubs include Cocoon, Ku De Ta, Potato Head, La Planca, Luna Dua, and Mano. For great bars and nightclubs, the estate is also in close proximity to Opium Night Club, Jenja Night Club, La Flavella, Red Carpet, and Motel Mexicola. The personal gourmet chef of LataLiana Villas Estate isn’t the only one serving up excellent cuisine in the area. The estate grounds are close by to incredible restaurant options like Bamboo, Sardine, Metis, Sarong, Megah Putih, Sip, and La Luciola. For vegan and macrobiotic options, there is Zulas, Down to Earth, Kynd, and Happy Cow. A day of culture and wellness is an ideal way to experience a different side of Bali, and the area of the LataLiana Villas Estate offers plenty. Many of the corners and blocks of the Seminyak area are dotted with breathtaking temples, along with beach ceremonies, and the monthly full moon ceremony where the native Balinese people dress in colorful and stunning traditional Kebayas. For those looking for a taste of old Bali, a few rice paddy areas may still be found around the region. After a long day exploring the culture of Bali, colonics and ozone therapy are offered at Cocoon Medical Spa, Arc and Eden, and Dr. Welly’s. Families and sports enthusiasts will also have plenty to keep them occupied in the LataLiana Villas Estate region. Rip Curl Surf School is a great way to spend a day on the beach, Nirwana Golf offers an experience in hitting the green, and Cycling the Countryside offers a different view of Bali. For the whole family, Waterbom, Cubby House Kids Club, Bali Safari and Marine Park, and Bali Bird Park offer nearby unforgettable experiences. Excellent staff, service thank you for our stay. Many thanks from LataLiana Villas! We had a shortly good time. Service was excellent. Staff very attentive and friendly. We would love to come back again. We had a very enjoyable and relaxing stay. We had a very enjoyable and relaxing stay. All of the staff have been very attentive & lovely to us & the babies. We have loved our stay here & don’t want to leave. We have loved our stay here & don’t want to leave. The staff Wayan, Anik, Putu and all staffs have been amazing & made us feld so special for our one year anniversarry. We can't wait to come back ! Thank you so much for your amazing hospitality 🙂 Bree, dave, Isla & friends. A fantastic experience! wonderful selection of food, BBQ amazing fabulous service and staff thank you. The staff make the experience exceptional. The staff make the experience exceptional. Wayan and Anik did everything do make our stay amazing. Thank you for your service when we were in Bali. Thank you for your service when we were in Bali, it was an enjoyable stay even its only short visit.